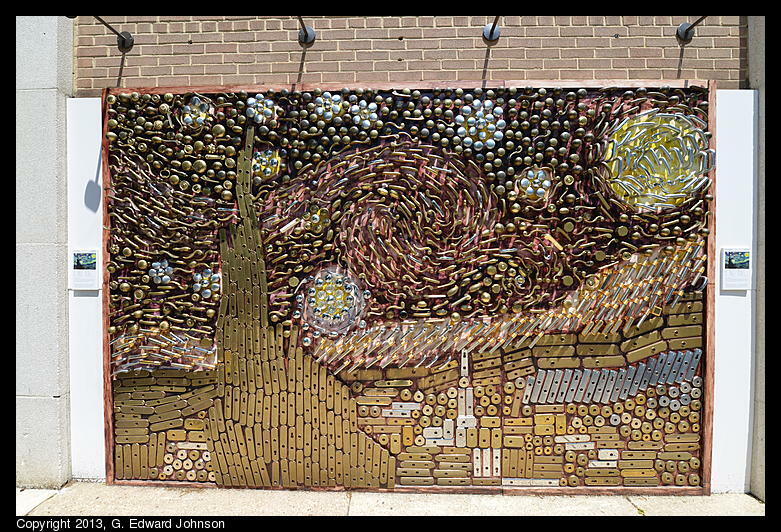 Next time you are on Norfolk Avenue in Bethesda, MD, look for this art installation by Union Hardware. 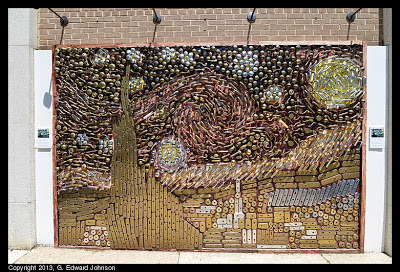 It is a rendition of Vincent van Gogh's "Starry night" except it is done with different types of kitchen/bath hardware. 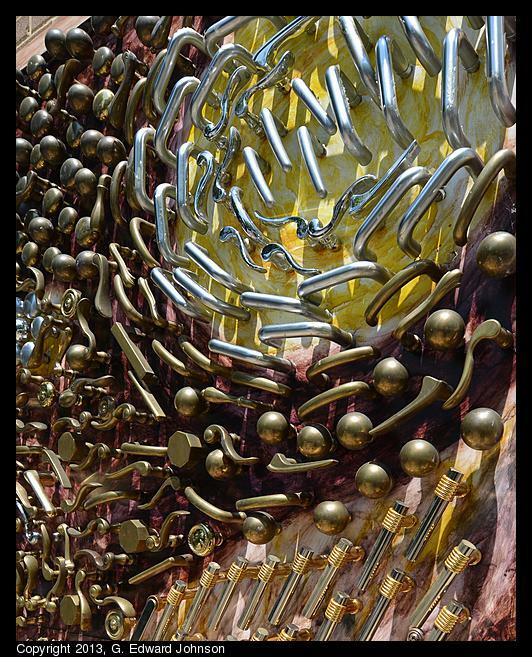 Lots of various kinds of handles and metal plates. It's really neat, I walked by it a few times before going by on the same side of the street and getting a close look at it.